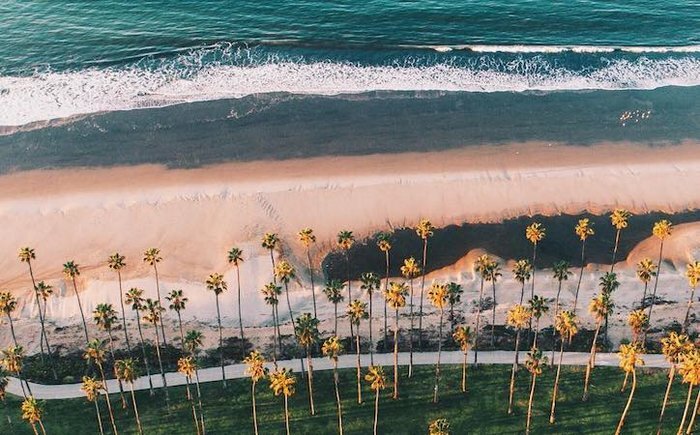 Squished between golden beaches and sprawling mountains, dotted with stunning Spanish architecture and flowing with wine from neighboring vineyards, Santa Barbara has all the trappings of a California dream. In the past, the city has been touted as a hideaway for the rich and famous. But after cruising in on Highway 1, you can make the city your own, no matter your budget. You can thank Santa Barbara for your obsession with avocado toast. Avocados were introduced to the U.S. in 1871 when Judge R.B. Ord of Santa Barbara imported the tree from Mexico. 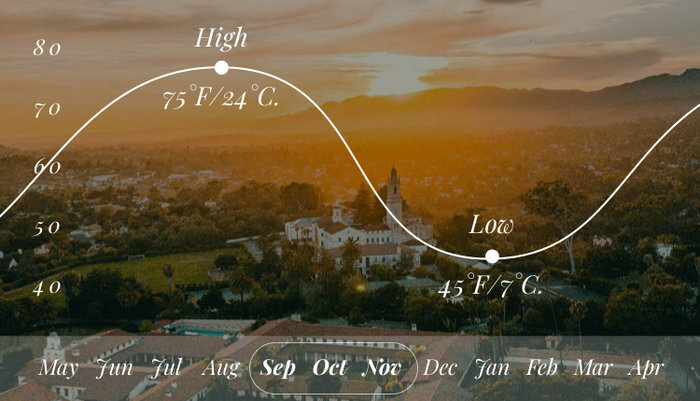 Santa Barbara is gorgeous no matter what time of year you visit. Peak travel season is summer, and you’ll find the beaches more crowded and the hotels pricier. We recommend traveling in early fall for cool temperatures, lower prices and lower chances of rain. 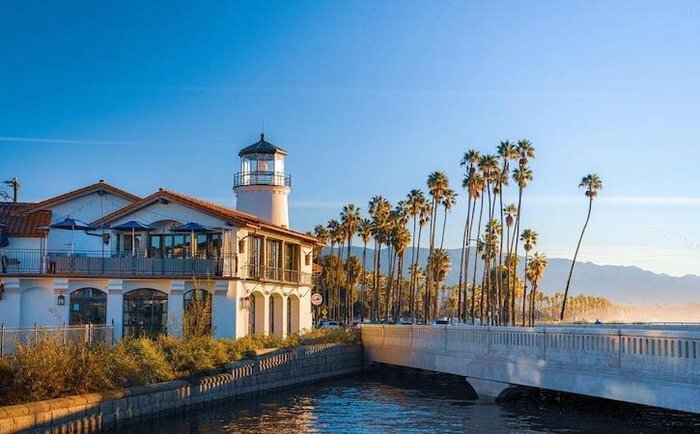 Santa Barbara is like most Southern California towns — a hub for fun in the sun. First up, the beaches. Head to Leadbetter Beach for surfing and paddleboarding, or Arroyo Burro Beach if you have a furry friend in tow. When the sun starts to set, Butterfly Beach will provide the perfect viewpoint for an orange and purple sky. 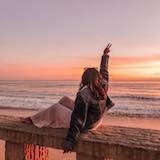 Take a stroll along Stearns Wharf, the oldest pier in California, or hop on a bike and explore the boardwalk, riding through golden rays filtering through tall palm trees. 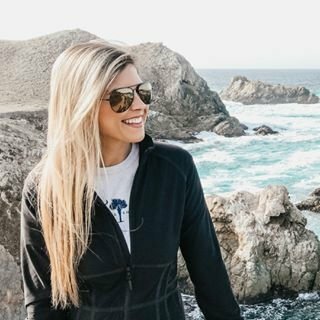 If you’re here in the early spring when the weather is chilly, bundle up and go whale watching or just sail around the harbor in style. 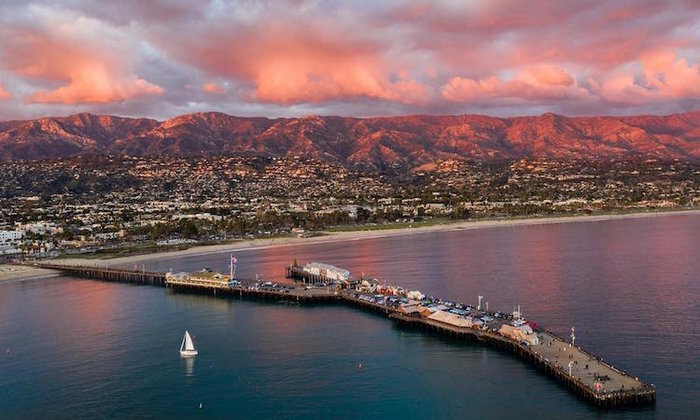 Santa Barbara is pressed in on all sides by incredible natural splendor. To the east, the Santa Ynez mountains stretch into Santa Barbara’s backyard. 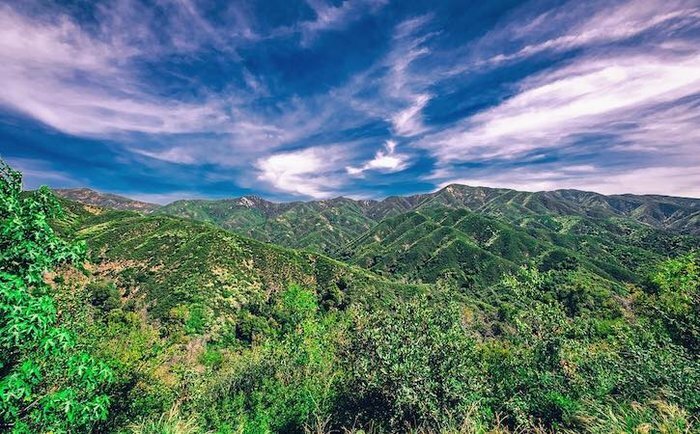 Take to Los Padres National Forest, a sprawling 1.75 million-acre preserve with over 300 miles of hiking trails and coastal treks. 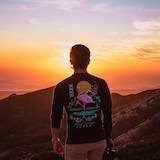 To the west, scattered in the ocean, is Channel Islands National Park, an archipelago of five islands packed full of adventures like snorkeling, sea cave exploring and hiking. 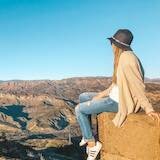 If you want something close and easy, drive up to Knapp’s Castle, where a short hike will drop you at a set of ruins with stunning views. 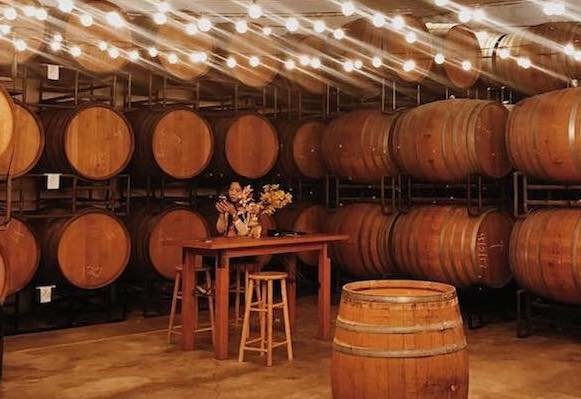 Once you leave the mountains, follow a different kind of trail straight to Santa Barbara’s wineries. Nearby Santa Ynez is one of California’s hidden wine gems, and there are dozens of vineyards scattered through the region just a short drive from the city. If you prefer staying downtown, however, the wine trail extends into Santa Barbara’s tasting rooms. Head to the Funk Zone, a vibrant area with tasting rooms, breweries and restaurants. Taste pinot noir in the city’s oldest winery, Santa Barbara Winery, or enjoy merlot with a view of the ocean at Deep Sea Wines. The first thing you’ll notice about the city is the stunning red-roofed buildings and Spanish-influenced architecture. Art and history line the streets and there are a few must-see spots. Start at the old Courthouse whose tower offers a 360-view of the stunning buildings. 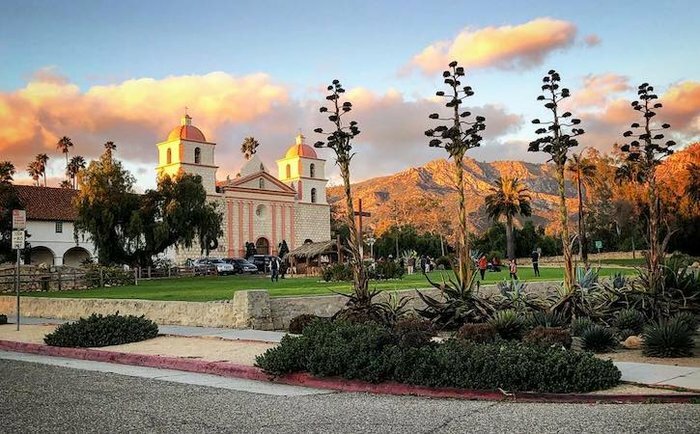 Then hop over to Santa Barbara Mission before embarking on a walking tour of downtown to experience all the old buildings, stopping into boutique stores and restaurants along the way. When you need to get indoors, try Santa Barbara Sea Center for a fascinating look at ocean life, and MOXI, an engaging new museum devoted to technology and science. 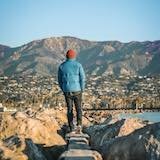 "As cliche as it may sound, one of my favorite things to do in Santa Barbara is walk/bike along the coast! I enjoy the small town feel with the beautiful beaches, palm trees and seemingly never-ending sunshine! I would highly recommend renting a bike and cruising through downtown and along the paths beside the ocean. The scenic views are everything! Also, if you ride down the coast, you'll see the awesome art piece known as the "Chromatic Gate". 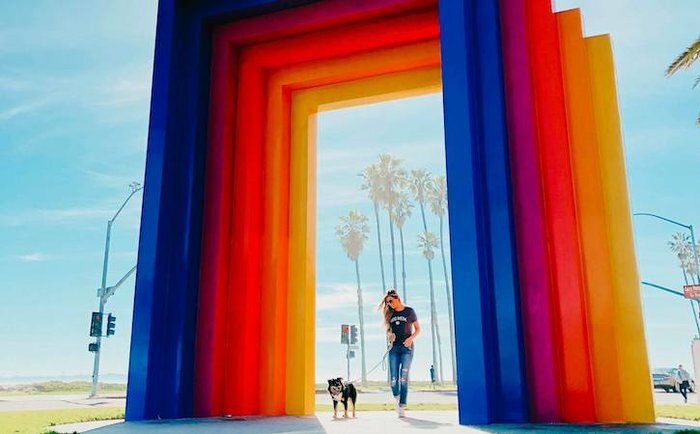 It looks like a huge rainbow and is a great spot for taking pictures! Also, if you go in the morning, you'll have the palm trees and ocean behind you as an added bonus to your pictures! Overall, the entire city is bike-friendly and highly suggested!" Santa Barbara is an old haunt of Julia Child — so you know the food is going to be good. Mexican food especially dominates the culinary scene, with delicious spots like Mony’s and Corazon Cocina serving up mouth-watering options. For fresh seafood, Bluewater Grill is a classic housed in a lighthouse near the waterfront. Find a spot near a fire pit at the Sandbar for a cozy vibe, before slipping over to Figueroa Mountain Brewing Co. for drinks. 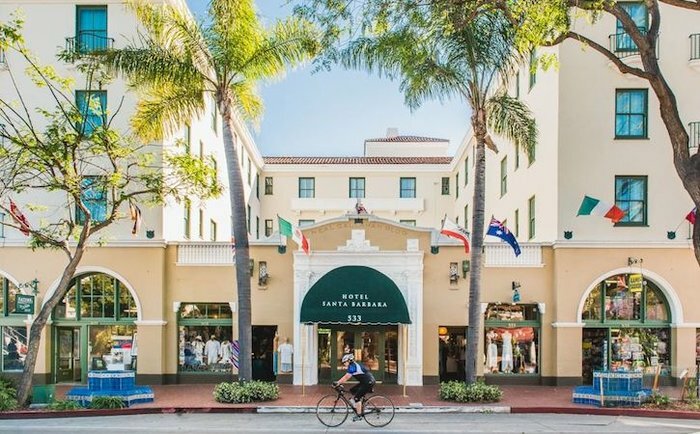 Santa Barbara is, of course, home to some supremely luxurious hotels. The Hotel Californian and Hotel Santa Barbara are two classics that offer great experiences. If you want something a little better priced, head to West Beach. Try the Sandpiper Lodge, a motel that’s decently priced and in a great location. 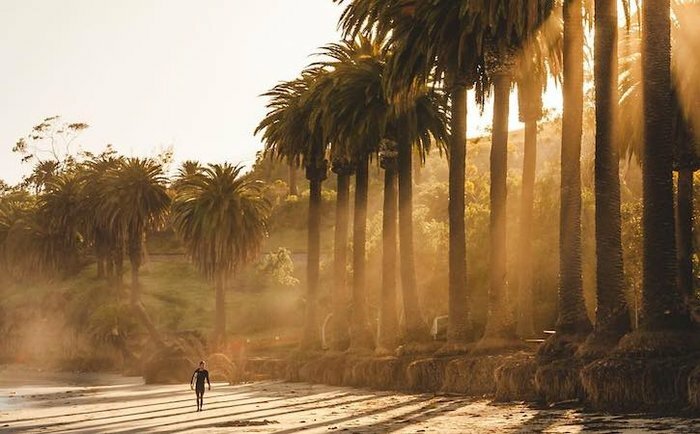 Finally, if you really want to rough it, Santa Barbara is home to some of the best beach campsites in California, like Refugio State Beach.